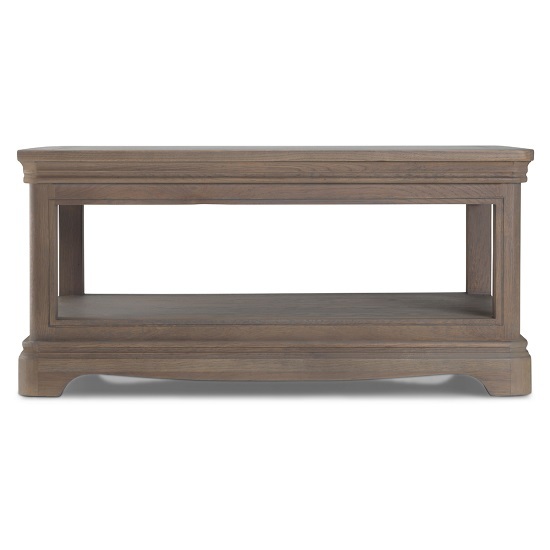 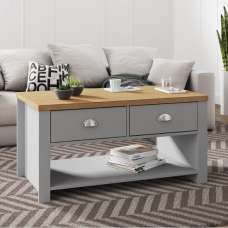 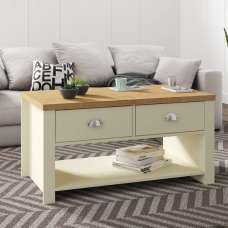 Ametis Wooden Coffee Table Rectangular In Grey Washed Oak With Shelf, gives robust and sturdy look perfectly complementing any living room space. 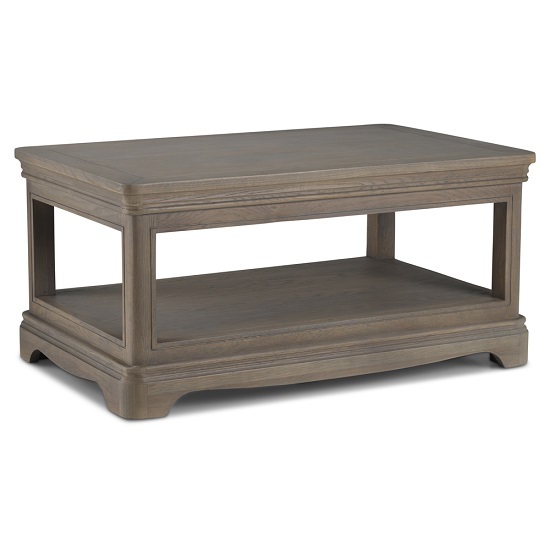 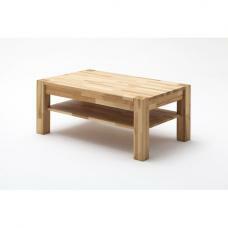 Crafted from Oak wood and finished in Grey Washed. 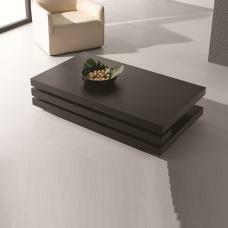 It feature rectnagular top with bottom shelf. 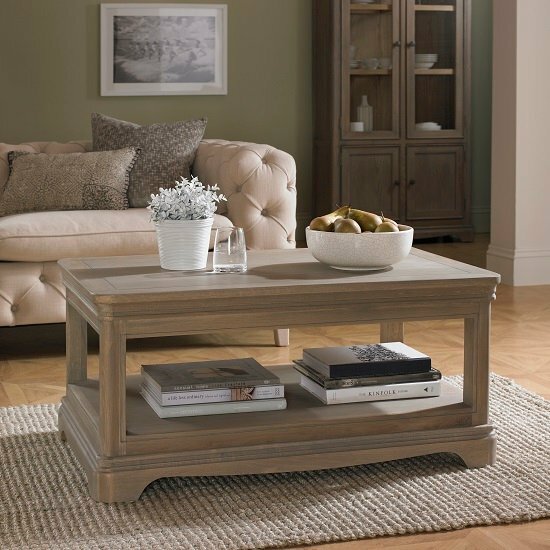 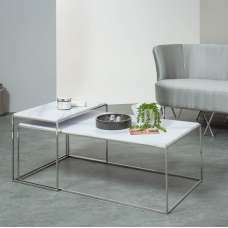 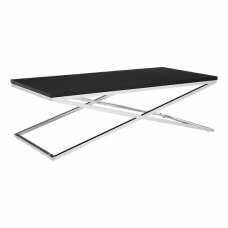 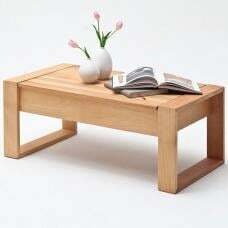 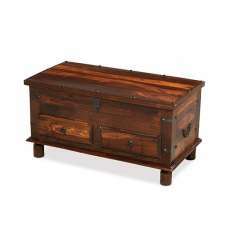 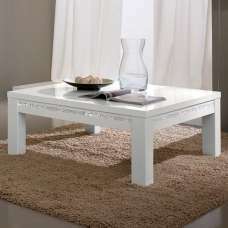 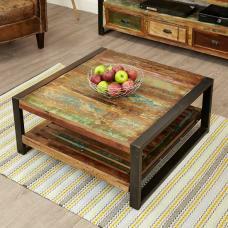 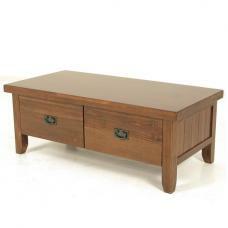 This coffee table adds classic touch to your living room.